Medical needling stimulates new collagen production in the skin to help smooth wrinkles. 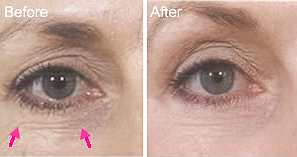 The types of wrinkles that benefit from facial needling. Medical needling is safe, with little down and gives a very natural healthy glow to the complexion as it smoothes and progressively softens wrinkles. A full facial needling will cost £250-£350 per session. Consultations are free of charge with our medical practitioner.